I recently went to Wilde Land Rover potentially looking for a trade-in for my BMW and was greeted by Marco. Although I didnt trade-in my vehicle, Marco has been keeping me up-to-date with possible choices. Marco is professional, friendly, and easy to work with and I will continue going through this dealership based solely on Marco's great demeanor. Marco Surdo has worked with us in the purchase of two vehicles. He is knowledgeable, fair and straight forward. And now that we have owned our vehicles for some time he is still available to help us with any questions or concerns we may have. Definitely 5 star service! I can not express how grateful I am for the impeccable service I was given when in search of a new vehicle. This process can be very daunting and personally I don't like having to car shop but Ruzhdi Asani made things easy and pain-free. I have never met a better car salesmen than him and Land Rover should feel blessed to have him there. Thanks to Rob we had a great time picking out the perfect car for me. I absolutely love my F-pace. I would highly recommend him to a friend. We had such a great experience with Wilde! Marco is a knowledgeable rep who was able to answer all our questions and gave us some great advice. We would definitely recommend working with him! We had a very smooth and enjoyable auto transaction. Very easy to work with. Purchased car sight unseen and was just desribed to us. Thank you Bryan for your hard work. We recently bought a car from Wilde for my mother and our salesman was Marco. He did a fantastic job at helping her right from the beginning by calming her nerves in the buying process. He helped her set up everything after also! If you want a caring salesman’s who as customer service down pat he is your guy! High recommend Marco and the Wilde team!! Ken did a great job. The initial price offered was very fair. In and out with a my car in a couple of hours. I found the car I wanted on their internet site. Very low mileage and priced thousands below any competitor within 200 miles. Their trade in offer was what I expected. No need for negotiations. A delightful experience. Bryan was fantastic. Great service!! I am extremely pleased with my purchase! I would highly recommend this dealership. I went to several other dealerships and walked away unhappy. This will be the first place I go the next time I go to buy a car. Great showroom and classy service. Did not feel pressured at all from our rep Marco. Polite, professional, and has a passion for his cars. Highly recommend Wilde to al my buds and family. Great experiance with Marco Surdo, he made me feel very comfortable and right at home. He answered all my questions and was really patient with me. He was really knowlegde able and had answers to any questions I had and just really took his time to make sure what I am looking for is taylored towards me. We were pretty far away with where I wanted to be for a monthly payment. However our salesman Ken discounted their vehicle and gave us more for our trade in order to make us happy. Now we are proud owners of a Q7!! We even went by the Audi dealership for assistance with a feature that was unclear on how it worked, and Ken had a friend there that helped us even though it was from the competition from across the street. Nice job guys !! Serving Sarasota, Tampa, Venice, Bradenton and North Port. 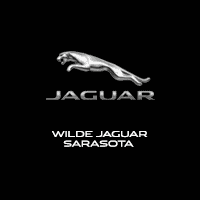 Welcome to the luxurious world of Wilde Jaguar Sarasota, your greater Tampa Bay Jaguar dealer offering new Jaguar vehicles, used luxury car sales, Jaguar parts and accessories, financing and factory-trained service mechanics. As an authorized Jaguar dealership, we are committed to delivering exceptional service aimed at your complete satisfaction. Wilde Jaguar Sarasota is less than a 15 minute drive from the heart of Lakewood Ranch and Venice, making us the most accessible and exclusive luxury dealer for the larger Sarasota area. We continue to stock lots of options for the newly refined models such as the all new Jaguar F-PACE and Jaguar E-PACE, which offers an all-new luxury SUV package. We always carry a large selection of the ever popular Jaguar F-TYPE Convertible, for our customers who are looking for an extremely iconic sports car, and the very affordable Jaguar XE. We are also the proud sponsor of the Sun Coast Jaguar Club!